Enlarges or reduces any drawing. The Sketch A Graph is a classic creative and educational toy that is ideal for school projects, art ideas and all types of craft! This sensational sketcher allows you to enlarge, reduce or copy from any original picture you wish. Whether it be a photo, cartoon image or map, the Sketch A Graph makes your job a breeze. Hold the pencil and guide the pointer over a picture of your choice. To reduce your picture, simply swap the pencil and pointer around for the opposite effect! 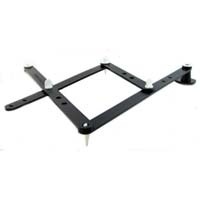 Enlarging and reducing images is not all this handy gadget does though! It also makes copying exact sized images super easy just swap and around once again. You can even change the scale of your reproductions following the step-by-step instructions on the box! With over 8 million sold worldwide, the this scientific drawing instrument is made by the popular games guys Crown and Andrews was invented in Australia so you know you're getting a great quality product! The perfect solution to all your cool artsy needs, the Sketch A Graph can even be changed to suit a left-hander! 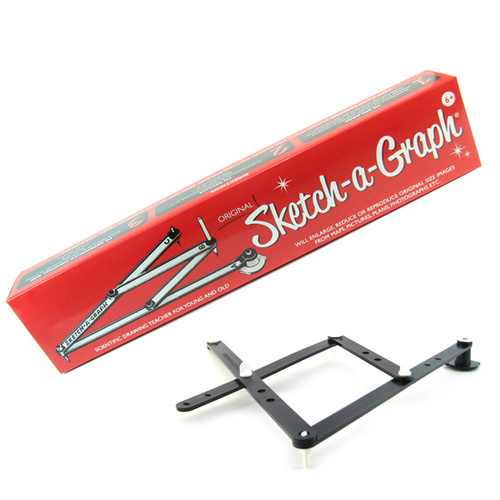 The Sketch A Graph can also be known as a Pantograph. Love this just what required for hobbyists woodworking etc Real Cool! !